Guys, it’s finally here; H1Siri is the first service making Siri porting to the public free of charge. You can install Siri on your iPhone 4 and iPod touch right now and get it fully ported and connected to Apple’s servers. Just follow our full step by step guide shown below. 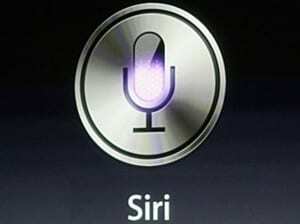 This full port of Siri is made for iPhone 4 GSM & CDMA versions and iPod Touch 4G only. Other devices are currently not supported. If you have previously installed a jailbreak tweak known as “Siri0us” which installed Siri dictation on iOS 5 devices, it’s better to remove it to prevent crashing and conflicting. The guys known as CD-Team developed a tweak called “H1Siri” which brings Siri’s GUI and Siri connectivity to the team’s own servers. Siri will not be connected to Apple’s servers, instead, it will be connected to private servers. STEP 1: First of, you’ll need an iPhone 4 or iPod touch running iOS 5 / iOS 5.0.1. You can check our iOS firmware download page here. STEP 2: You’ll also need to jailbreak your iPhone 4 or iPod touch 4G by using our guide posted here for iOS 5. STEP 3: Once jailbroken, head to Cydia then Manage, Sources, Edit and finally hit Add. STEP 5: Get back to Cydia and search for H1Siri and install it. It will take some time since it weighs 109 MB. STEP 6: After successful installation, give your device a reboot. STEP 7: Now go to Settings, General, Siri and switch it to on. DISCLAIMER: We are not to be held responsible for any loss of data as a result of the malfunctioning of your device in the following of this guide. Follow at your own risk.